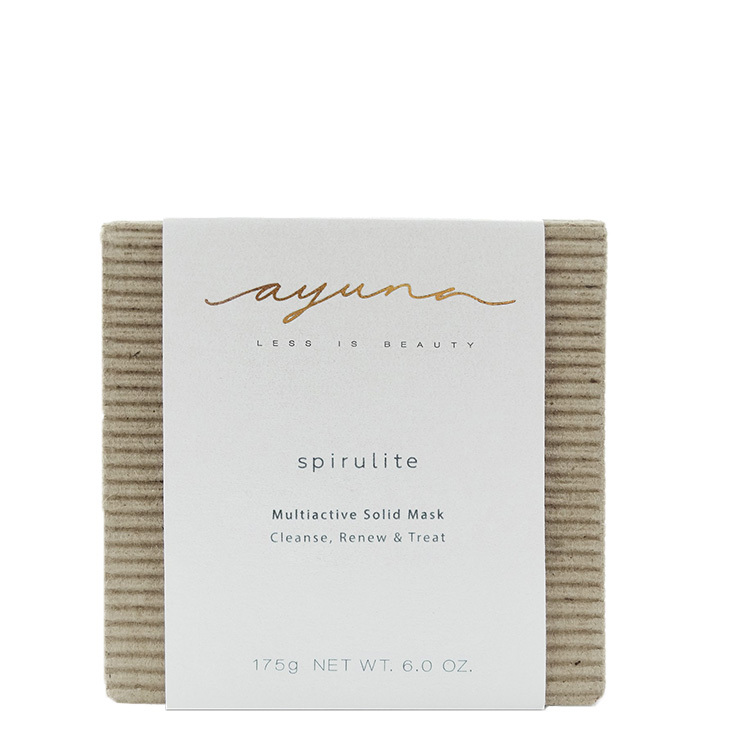 Cleanse skin while boosting a healthy appearance with Ayuna Spirulite Body Mask + Wash. This multi-tasking body bar contains natural Luffa fiber to give skin an incredibly soft feel, while offering a revitalizing sensation that makes skin look glowy and vibrant. 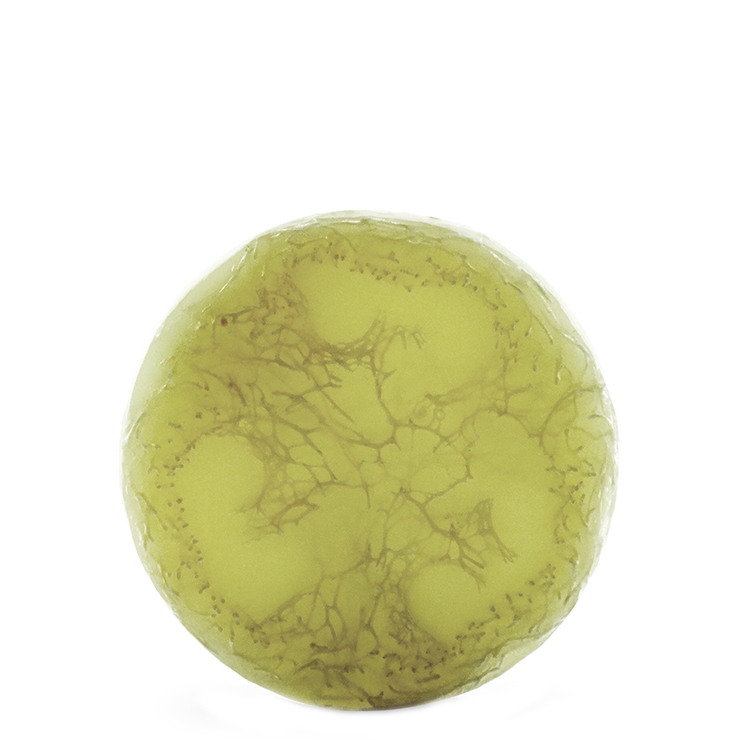 Calendula and spirulina are used to moisturize and diminish the appearance of cellulite. The refreshing herbal scent from the carefully crafted essential oil blend uplifts and soothes the senses. The perfect way to start or end your day. Use both morning and night while showering to cleanse the body. To make skin feel super soft and smooth, massage the Luffa body bar in circular motions wherever you’d like to provide moisturization and diminish the appearance of cellulite, including knees, elbows, thighs, and buttocks. Allow the mask to remain on skin for 2-3 minutes, then rinse with warm water. For a look of toned and glowing skin, finish showering with a blast of cool water, then towel dry. Follow with your favorite body lotion or cream.